Just found out that Prohibition Room is closing June 30th. They will reopen in the Tower theatre building 2 months later.[/U][/B]. Timeline sounds a little aggressive just from looking at the place but great news. The tower theater is where they originally wanted to be interestingly enough. That's what they were saying last night. It just wasn't working with the previous owner. So are they moving into the space next door to the Tower Theater or are the going to be occupying the actual theater space? Prohibition Room will be next to the Tower Theater, not in the actual theater space. They are still going to be putting a cultural events center in the actual theater space, that will probably host art films, concerts, etc etc.. It's great that Prohibition Room is moving further down 23rd because evidently they were a problem for Dr. Lam, and now hopefully that will put some wind in their sail...maybe they'll actually complete that project sometime soon, now. Where exactly where the Prohibition Room be located? Unfortunately the relocation of Prohibition Room has not gone according to plans. We will not be moving into the Tower Theater space. Our plan B has come to be a great spot for us. It is in the hands of our designers and architects right now and we hope to present to the city next week. As soon as we get more information I will be happy to annouce the new location. In the article which came out Tuesday in the Journal Record, she said we have fallen behind in our rent. We have not. (i have the cancelled checks to prove otherwise. We were paying on the average about $5200.00 per month for our spaces. Since the Gold Dome is almost completly empty we do not uderstand why she would want us out? Especially since she is delinquent with her loans through the city. Irene has picked and chosen parts of the lease she wants to enforce and ignore. This picture is one of the many events she has had which completly shut us down on a Friday night. Jessica Tate, Jazz Harpist, was having her CD release party that night as you can see, if you have ever been to our restaurant, our entrances were complety blocked. Not to mention, the parking lot was complety full and taken over by Irene's event. Not to mention, we could get to our office, dumpster or food storage. These and many other reasons are why we are leaving this location. It has nothing to do with personality conflicts. We pay our rent and deserve the requirements of our lease to be upheld. We went to court many times and have finally reached a settlement. We are leaving July 31st to our new location. Irene is still required to follow the lease. She has already ignored it and we will probably be back in court again. Prohibition Room is my livelyhood. This is how my wife and I make our living and support our family. We will not allow the land lord to bully us or infringe upon our business with her controlling ways. We have all the documentation to support what I am telling you in this post. If there is any question, we invite you to come by, have a beer or cocktail and we will show you. We are very excited to leave to a more stable location since we have been fighting with Irene for the past 3 years instead of improving and building our business. We appreciate the support we have had from many of you and hope you will continue to support us in the future. Interesting.... to say the least! Nothing like a forum for transparency. It is such an incredible shame that after Dr. Lam was able to save such an awesome and iconic building, it's now come to this. I am concerned for the future of this wonderful structure. Thanks for letting us hear your side of it, RSA. Too bad you weren't able to go into the Tower--how come that fell through, if I might ask? Thanks, RSA. Very enlightening, as well as sad ... not just for you. What does the Gold Dome intend to do with the space now that the Prohibition Room is leaving? I've heard they have other tenants who have moved out, as well. Maybe this site would have been better off as a Wallgreen/Eckerd/CVS after all. 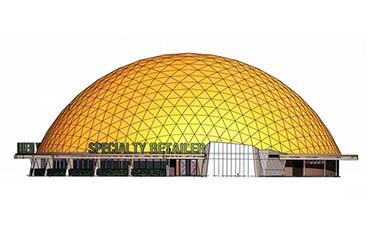 The geodesic dome's owner, Gold Dome LLC, managed by local optometrist Irene Lam, owes more than $21,000 in delinquent property taxes and has fallen behind on repaying most of a $1 million loan from the city to renovate the building. The Oklahoma City Council will vote on Tuesday on whether to pay off the remaining $874,000 balance on a $1 million U.S. Department of Housing and Urban Development loan it was awarded in 2005 to renovate the Gold Dome with Community Development Block Grant funding. It's still a very cool building, and I'm glad it was saved ... I hope someone with deep pockets & creative vision can take over and keep that location & building preserved! I look forward to visiting Prohibition Room at its new location too! hope they have a decent parking lot, for the car shows again! Hi, I'm Lori. My office is now in the Dome and I'm doing their online marketing and social media. I don't know all the details but I can tell you that Dr. Lam is considering offers from a few restaurants, plus has 2 new tenants moving into the larger ground level spaces. There are still 4 vacancies but someone came in to look at a space yesterday too. I'm going to miss the Prohibition Room being in the Dome. I have quite enjoyed the convenience of being able to go downstairs for my weekly lunches with the Oklahoma City Business Network. Wherever they go, I'm sure the Prohibition Room will continue to support our local artists and offer a great menu and whoever moves into the Gold Dome will have a historic legacy to live up to. I hope the dome creates a more inviting atmosphere. Last time I was there it seemed pretty disheveled and unappealing. It could create a very unique environment if it just would. The plans are in the works for a more golden Gold Dome. Time, money, community interaction - they're coming together slowly but surely. Would love to hear anyone's thoughts and ideas. May 26th I'm doing the last Business Social before summer hits. It's a speed networking event and you're welcome to come out; do some networking and we could talk about future opportunities. More info is on Facebook or the website. OKLAHOMA CITY – The 2,900-square-foot restaurant space in NW 23rd Street’s landmark Gold Dome will be reopened this summer as Zona Viva, a Latin-themed bar and restaurant. Zona Viva owner Julio Passarelli said he envisions the new eatery having a menu laden with classic bar food, but with a Latin twist. 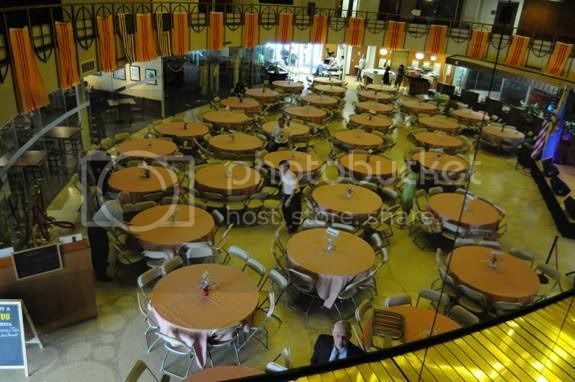 Passarelli, who has a background in the bar business, discovered the Gold Dome restaurant space while attending a special event at the building. “The opportunity came up and I thought it was the perfect space and a good fit for what we want to do,” he said. Passarelli is working toward getting Zona Viva up and running by this summer, but has yet to announce an opening date. The restaurant space at the Gold Dome has been vacant since the Prohibition Room left the building on bad terms in July 2011. The restaurant owners went to court with Gold Dome owner Irene Lam over a dispute on the terms of their lease. Lam said she has been focused on booking the Gold Dome space for more special events since the Prohibition Room’s departure and has several weddings scheduled there in the coming months. Lam said she is pleased that Zona Viva plans to offer catering service and also will be open for lunch. “We want a little bit more lunch and daytime traffic in the building,” she said. The Gold Dome, 1112 NW 23rd St., was built in 1958 and originally housed Citizens State Bank. The building was home to several assorted bank branches over the years. A group called Citizens for the Golden Dome narrowly saved the building from being bulldozed in 2001 to make way for a chain drugstore. Lam bought the dome in 2003 for $1.1 million and the building underwent extensive renovations before reopening in 2005. The building was added to the National Register of Historic Places in 2003.
nice, this is my favorite part of Oklahoma City, a part of Oklahoma City where I feel urban, I spend most of my time here, great addition to the area. Gold Dome building in foreclosure sale. A new restaurant, that is good for the area!